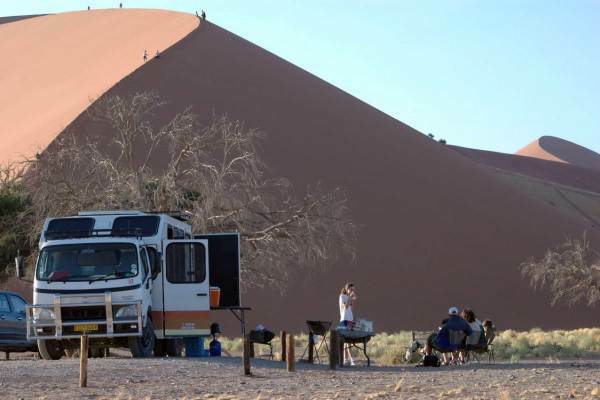 Experience the sand dune sea of Namibia's deserts and Sossusvlei. Stunning views across the mountains and desert. Explore the Dead Vlei and Sesriem Canyon. Watch a spectacular sunrise and sunset over the desert. Take in the magnificent Nau Kluft Mountain range. 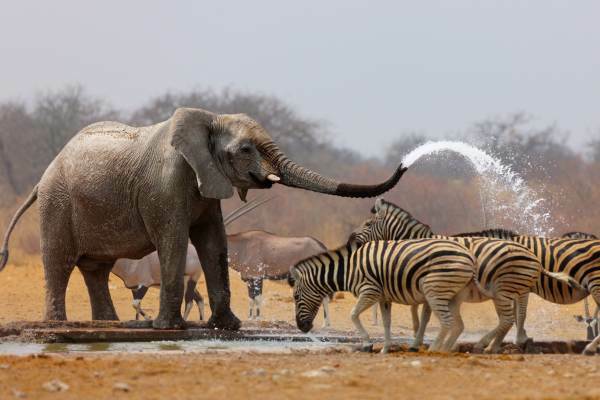 Comfortable en-suite accommodation makes this a superb desert safari experience. Partake in a desert activity in Swakopmund. We depart Windhoek after breakfast and make our way to Walvis Bay. We have a light lunch by the lagoon in Walvis Bay. The wetlands are known for there its abundance of bird life – including flamingos. We arrive in Swakopmund in the afternoon and have time to explore this quaint town (Swakopmund is the adventure capital of the desert). There are a variety of restaurants available for dinner. The morning is at your leisure and you can choose one of the many activities available. We leave Swakopmund at lunch time and head for Solitaire. Travelling through mountain passes, we take a short stop at the Tropic of Capricorn to stretch our legs. 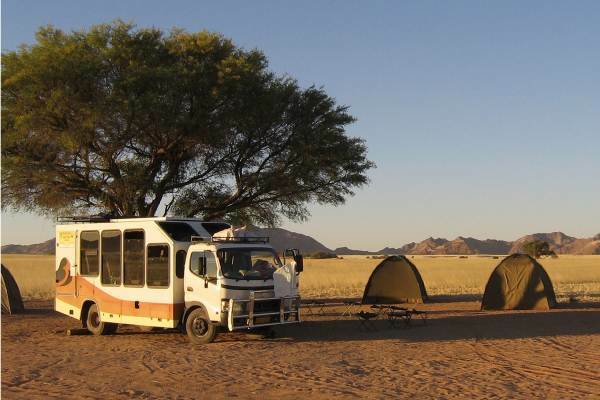 We arrive at our camp near Solitaire in the late afternoon and have a chance to relax and enjoy the open expanse.